Modern printers use a lot of design tricks to limit their energy consumption, keeping electricity bills lower. Large-format printers must be able to move and print on larger media, which requires more power. 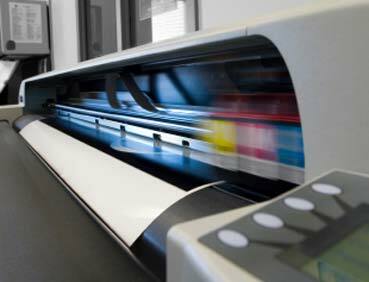 Even when printing on smaller media, a large-format printer may consume more energy compared to a smaller machine, resulting in higher utility bills. Most large-format printers use inkjet technology, which can be more expensive on a cost per page basis than laser printers. 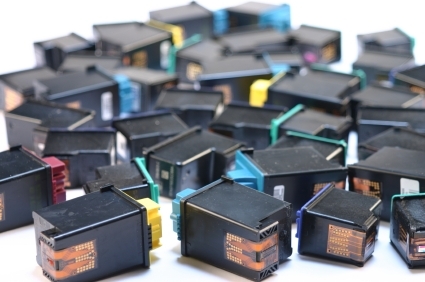 Even compared to typical inkjet models, the costs can be higher, as many large-format printers use more colors to produce a wider color gamut. For example, the HP Designjet T790 uses 6 separate colors of HP T790 ink cartridges, compared to the 4 cartridges used by many consumer machines. Replacing so many colors can start to add up over time. Large-format printers can often print on standard paper types, but larger projects require special media, that often comes at a premium cost. Many larger devices support the use of paper rolls, which can be somewhat expensive, and they may not come with all of the components necessary for the type of media you need to use, which means adding extra parts. In general, printing on larger formats often requires the use of specialized design software. In some cases, this software comes bundled with the printer, but if it doesn’t, this can represent another added cost. Professional design software can sometimes cost hundreds of dollars, so it is a major consideration. Large-format printers are specialized devices that are not necessarily designed for the average consumer. While the extra costs associated with a large-format printer may be worth it under the right conditions, every buyer should be aware of these extra costs before they make a purchase. For more ways that large-format printers can be used, see Uses for Wide Format Printers.